From Paper to Pixels is a guide for musicians making the transition from paper sheet music to digital sheet music readers and apps. From selecting the perfect tablet or computer to finding the right apps and tools for reading and writing music, exploring online sheet music resources and – most importantly – how to get music into your tablet or computer of choice, this comprehensive guide is written in a fun, breezy style, designed to soothe the fears of even the most techno-phobic musician. 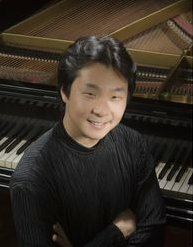 From Paper to Pixels was written by Hugh Sung, a professional classical “paperless pianist” who is a pioneer of digital sheet music and a teacher who loves to empower learners. After performing around the world, recording multiple albums, and serving on the faculty of the venerable Curtis Institute of Music in Philadelphia for 19 years, Hugh combined his passion for music and technology and co-founded AirTurn, a company that develops technologies for musicians.